First, combine yogurt, vanilla, and liquid sweetener in a bowl. Next, line a cutting board or baking sheet with parchment paper. Being working in batches by placing the slices banana into the yogurt mixture and carefully coating the bananas. Use a spoon and be careful not to break the banana. It’s okay to be generous with the mixture. 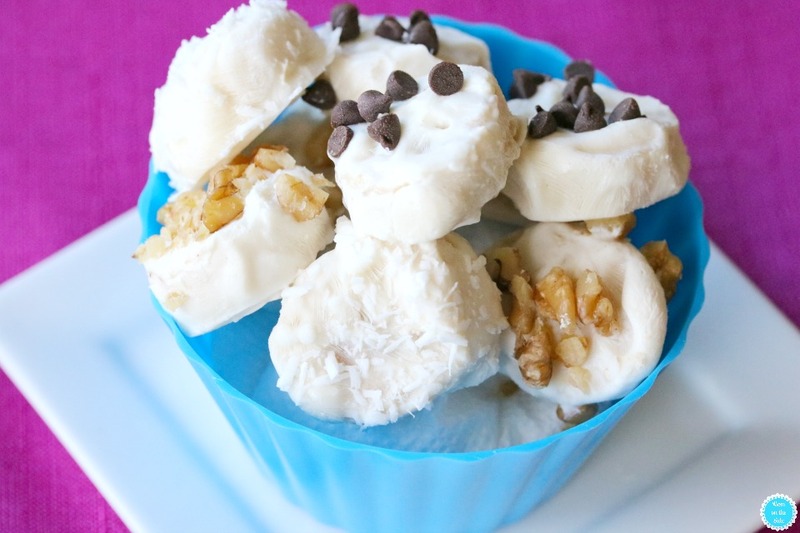 Place the yogurt covered bananas onto the parchment paper. 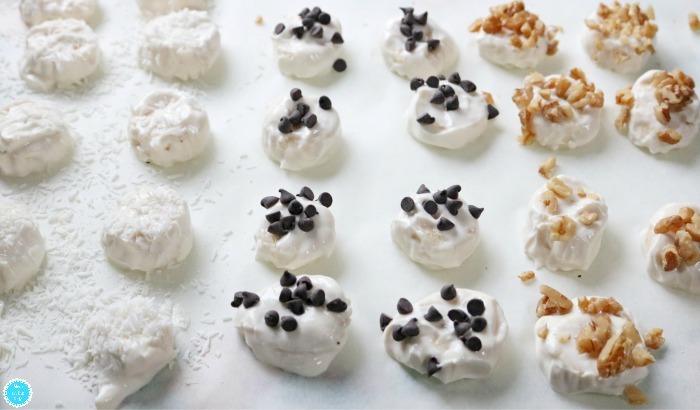 Once all the bananas are covered, top each banana bite with either chocolate chips, walnuts, coconut or any topping of choice. Lightly press the topping into the bite with a spatula. Place the cutting board into the freezer for one hour to set. Store in an airtight container in the freezer. When you are ready to eat, remove the bites from the freezer and let sit at room temperature for five to seven minutes. 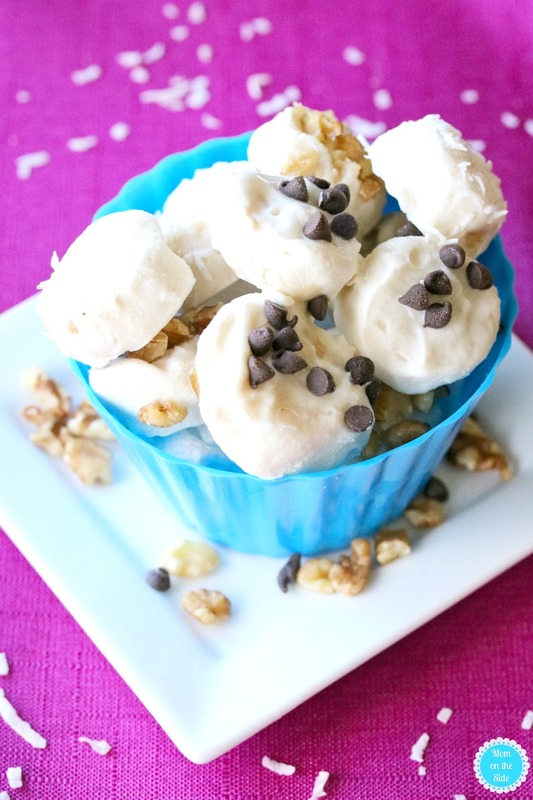 If you are a big fan of frozen bananas covered in chocolate, give this version a try! 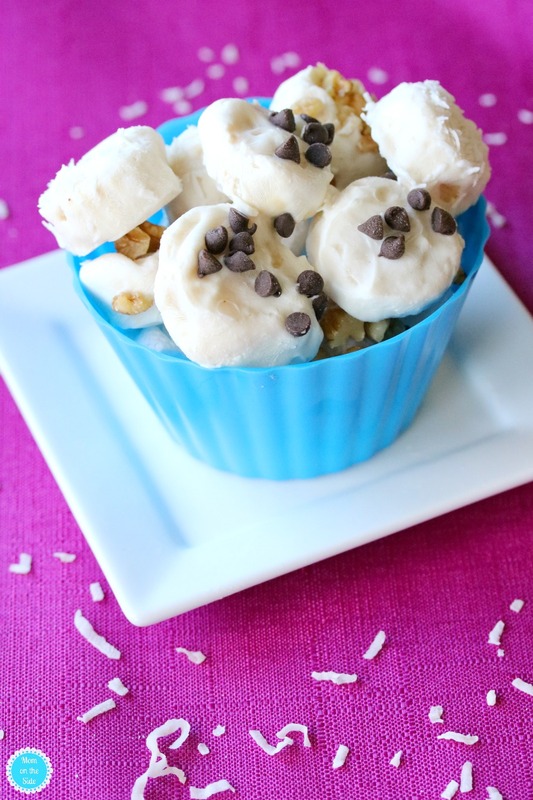 Save these Frozen Yogurt Banana Bites for later!